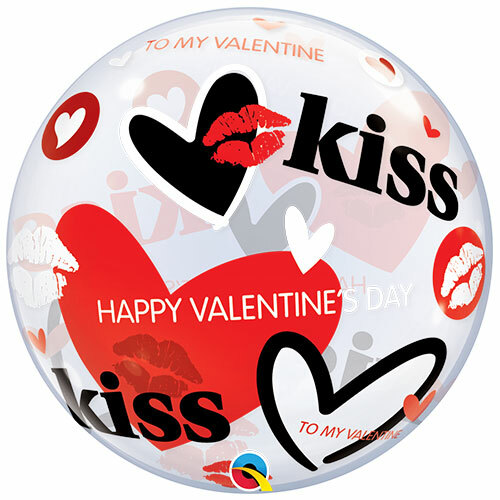 Kisses And Hearts Valentines Bubble Helium Qualatex Balloon 56cm / 22Inch Sold: Single Size: 56cm / 22Inch approx Material: Plastic Bubble balloons are made from stretchy plastic and when inflated correctly look like a beach ball. Requires helium gas inflation. Helium gas cylinders sold separately. Balloon delivered flat.